At 31 weeks, Kelly’s perfectly healthy pregnancy and planned home birth took a drastic change when her water broke and it was bright red blood. Even though Kelly spent a week in the hospital and saw dozens of specialists, she didn’t receive a firm diagnosis. She was only told that she may have had a minor placental abruption accompanied by PROM (premature rupture of membranes) which then resealed itself. With little other information, Kelly was put on bed rest for 8 weeks and ultimately decided to change her birth plan and deliver at the hospital instead of at home. At 39 weeks and 6 days Kelly went into labor naturally, going from 5 to 10 centimeters just 20 minutes after arriving at the hospital. She had an unmedicated hospital birth with and episiotomy – just 12 hours of labor total. 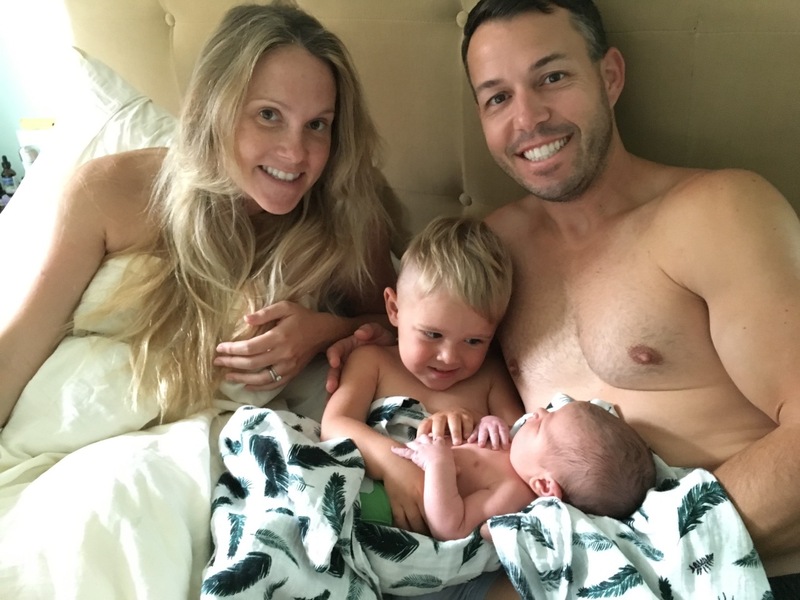 Her second son, a rainbow baby after 2 miscarriages, Stellan James, was born at home at 41+3 in just under 2 hours of labor. The episode is sponsored by Milkies by Fairhaven Health. Milkies is a line of thoughtfully designed products for moms, by moms, to help support all women in their breastfeeding journey. Products include breast milk collection and storage, supplements, teas, nursing pads and much more! Milkies is generously offering 10% off all products with the code BIRTHHOUR at www.fairhavenhealth.com. We are also giving away a milk catcher and milk collection tray over on Instagram.